October 16, 2013 The New York Film Academy is delighted to announce that students enrolling in its Bachelor’s of Fine Arts Degrees (BFA) are now entitled to financial aid under the Free Application for Federal Student Aid’s (FAFSA). Currently, NYFA offers a BFA in Filmmaking, Acting for Film, Screenwriting, Producing, Animation, Photography, and Game Design at its Los Angeles campus, which shoots on the Universal Studios backlot. Qualified BFA students have the option of completing course work at the New York City locations in a one-year, non-degree program and request that their course work be accepted for advanced standing in the degree program at the Los Angeles campus. 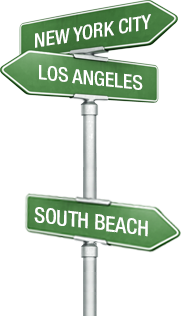 If students are interested in this route, they must apply and be accepted to the degree program in Los Angeles. These students will take a modified course of study that will deliver the liberal arts courses in year two and three exclusively. The progression of the fine arts film classes will be slightly adjusted to accommodate this modified course of study. Beginning January 1st of each year, The U.S. Department of Education will accept a FAFSA, and students are encouraged to submit applications as early as possible in order to be considered for maximum financial assistance. Students are also advised by The Department of Education to utilize the IRS Data Retrieval Tool (DRT), which is made available on the FAFSA. This tool retrieves student tax information, not including wages, directly from the IRS and automatically inputs the information on his or her application. In addition to students, parents may also access and use the DRT. If an applicant completed a FAFSA in previous years, he or she may submit a renewal FAFSA the next year. Changes in information must be updated annually. The FAFSA consists of many questions regarding a student's (and his or her family's) assets, income, and dependency. The numbers are entered into a formula that determines the Expected Family Contribution (EFC). A number of factors are used in determining the EFC including the household size, income, number of students from household in college and assets (not including retirement and 401(k) funds). This information is required due to the expectation of the parents’ contributions to their child's education. There are no questions regarding race, ethnicity, sexual orientation, disability, or religion. A Student Aid Report (SAR), which is a summary of the FAFSA responses, is forwarded to the student. The student should review the SAR carefully for errors and make any corrections. An electronic version of the SAR (called an ISIR) is made available to the colleges/universities the student selects on the FAFSA. The ISIR is also sent to state agencies that award need-based aid. While almost every student is eligible for some form of financial aid, not all are awarded these benefits. Those who are not granted need-based aid may still be eligible for an unsubsidized Stafford Loan, regardless of status or income. The New York Film Academy hopes this recent approval will provide more interested applicants the opportunity to explore our hands-on, intensive BFA degrees in the arts.